Any knight knows that keeping a variety of blades provides the best chances of surviving a battle. That is why it is always a good idea to keep a secondary weapon on your person, and what better secondary than the Heinrich LARP Dagger? This LARP weapon is made from a specially designed latex-free, injection-molded foam with a strong fiberglass core. This core ensures a durable and flexible design that is safe for use in LARPing, theater, staged events, and more. 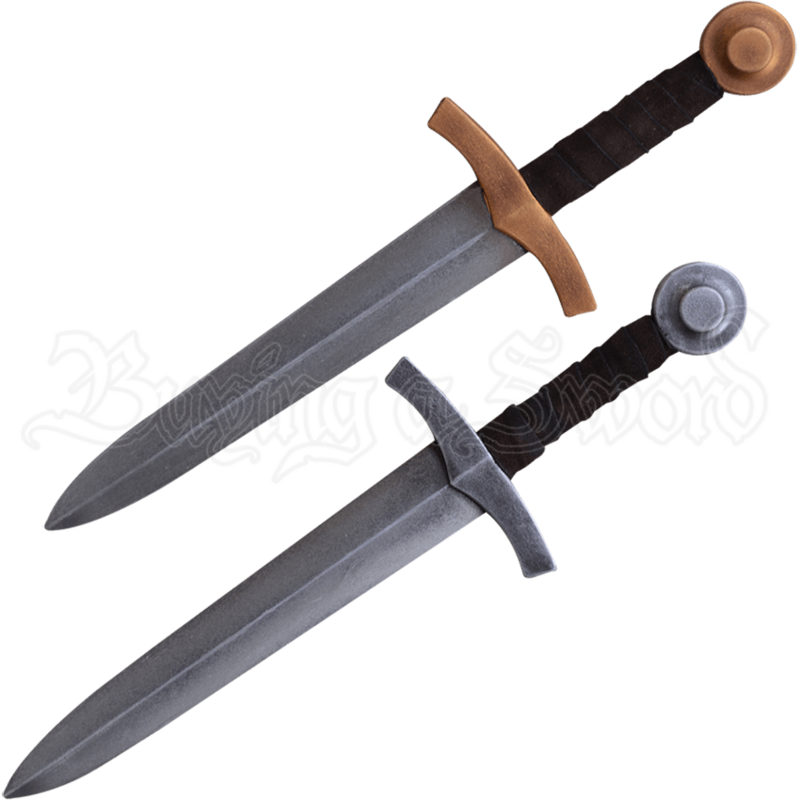 The dagger features a classic medieval hilt with a round pommel and a traditional crossguard, and the handle itself is wrapped in leather, making gripping easy. 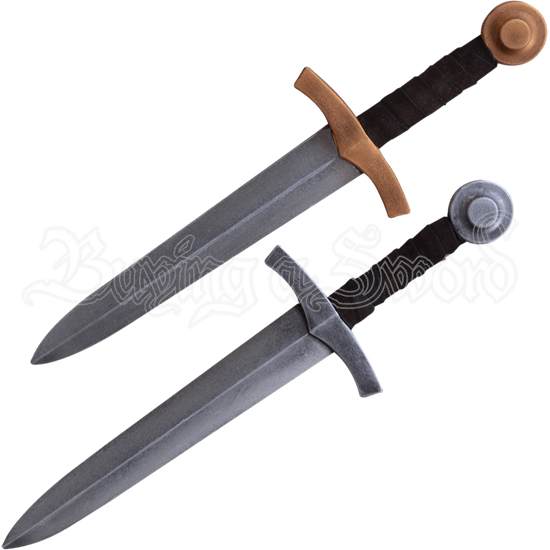 This dagger comes in two colors - steel and gold - meaning that whether you are a noble knight or a lowly squire, this is the blade for you. The next time you find yourself in close-quarters combat, the Heinrich LARP Dagger is sure to ensure a victory.